Happy Memorial Day weekend everyone. Remember to take a break from barbecuing on Monday at 3:00 p.m. for a “national moment of silence” to honor our fallen troops. One poem comes to mind that is a fitting tribute to all the brave American soldiers who have given their lives for country. Do not Stand at My Grave and Weep is my all time favorite poem or prayer. 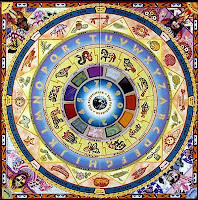 Its’ origins are uncertain but it is often attributed as a Hopi prayer written by Mary Frye. The following version is from 1939. I am not there--I do not sleep. Here is a version of Do not Stand at My Grave and Weep in song form. When I first started writing this blog a little over two years ago I wrote a post about the dangers of using Ouija boards. They are portals and you have to be very careful when using them. This is especially true if one does not know how to use them properly. Some say that you will not have a problem with a Ouija board if your intent is good but I have found that this is not always the case. My belief is they should be left alone. 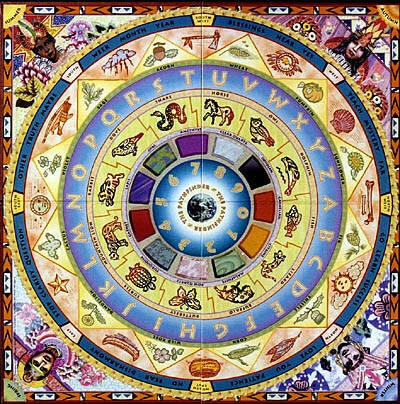 But for those of you who are curious about learning more about the history of Ouija boards or “Talking Boards” I found a site called, Museum of Talking Boards that is a fabulous resource. This museum addresses a wide-range of topics. This site has a nice section that addresses FAQs. There is a discussion that even addresses the theories of Automatism vs. Spiritualism. 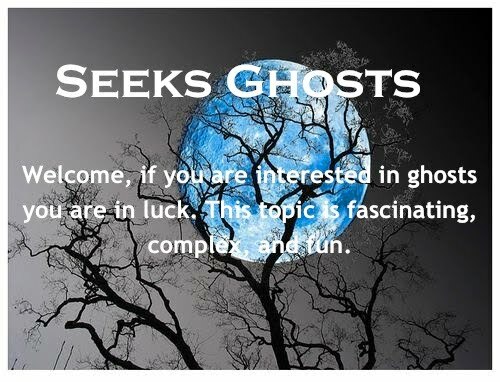 Again I do not encourage the use of these boards but this site addresses the kinds of questions to ask when using a board and how to use a Ouija board properly. They also have a nice list of links that takes the visitor to various interactive boards online where questions can be asked. There is even useful information for the collector--which boards are still made etc. One topic addressed is the use of Talking Boards in the movies another is a comprehensive list of books about Talking Boards. I found the museum's “site map” useful in finding the subjects I was interested in. Here is a link to the Museum of Talking Boards. The Museum also has some nice "Galleries" that show various pictures of Talking Boards and Plancehettes through history. The video below shows the museum’s varied collection of Talking Boards. This current event is intriguing. It happened this month at an old warehouse store located in Telford, Shropshire, England. As employers returned to work early on Saturday May 4th they discovered several boxes of merchandise strewn about the staircase that leads up to the manager’s office. Thinking the store had been vandalized they immediately checked out the market’s CCTV surveillance videos to see if they could spot who had done it. What they found was a surprise. One camera showed a mysterious wispy form walk up the staircase on the left side then cross over to the right side near the top at which point several boxes came tumbling down the stairs. Several people who have watched this video state that the time stamp on the lower left side of the frame disappears just as the boxes begin to fall so they feel this video was tampered with in some way. I do see a wispy form in the video. I also spotted something reach out toward the boxes just before they start falling. But others have stated it appears someone pushes the boxes off from the other side. So what I see could be my imagination…but I do see the same movement each time I watch the video. The Gothic short story The Tell-Tale Heart was written by Edgar Allan Poe. It was first published in 1843. True to Poe’s form he draws the reader into this story by having the insane villain of the story narrate what happened in his * own words. This perverse narrator kills an old man who lives with him. ** At the beginning of the story and throughout he professes he is not insane but he openly admits he killed and dismembered the old man and hid his body under the floorboards in this man’s bedroom. In fact, he talks with pride about how he planned the perfect crime. But in the end, his own guilt and madness trip him up. Thinking he has even effectively deceived the police he escorts them into the old man’s room. Sitting upon the bed where he smothered his victim to death he is confident he has presented himself with “a pleasant and easy manner”. But feeling uncomfortable he starts to hear a ringing in his ears. This sound becomes louder and louder. Poe’s next plot twist is why this story is a classic. Spiraling further into unreality the narrator becomes convinced that the ringing in his ears is actually his victim’s heartbeat beneath his feet beating louder and louder. Thinking the police must hear these beats as well, he loses complete control. He confesses his crime and tears the floorboards up to reveal the body in pieces. The irony here is the police actually do not hear anything, it is all in the narrator's head. * Poe never makes clear whether the narrator's character is a man or a woman. 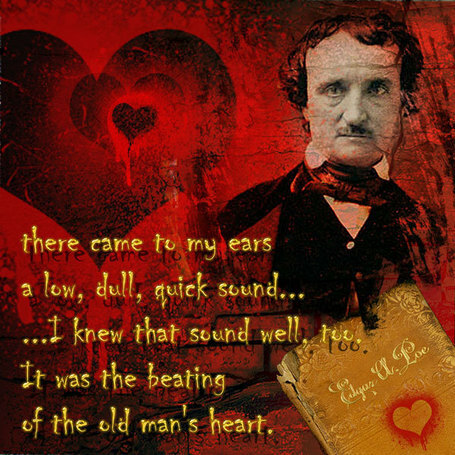 ** Poe is also vague about why the narrator kills the old man other than the fact he has a strange eye that disturbs the narrator. Some speculate that the old man’s pupil-less eye actually represented a secret he could use against the main character. The following is my favorite version of The Tell-Tale Heart. It is an animated seven-minute feature made in 1953 and narrated by the English actor James Mason. This short film is preserved in the United States National Film Registry.